Posted on Thursday, January 10th, 2019 in Kenya. 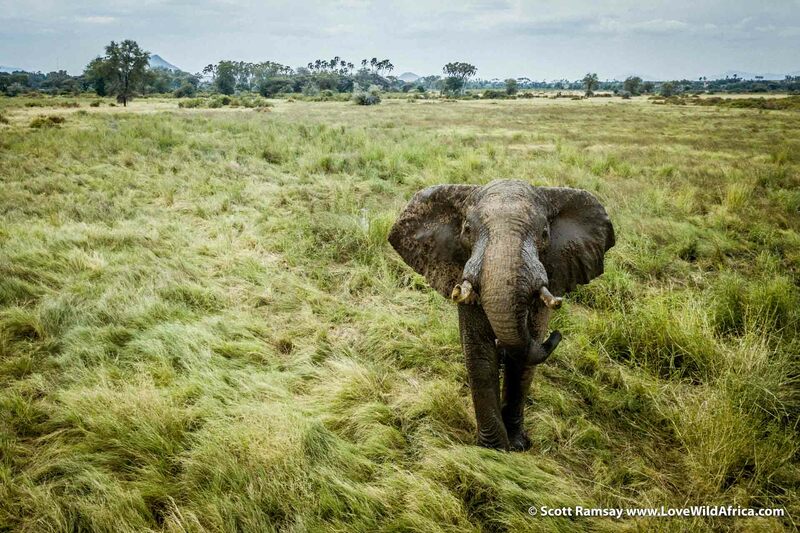 Wilderness is its own reward, especially in Africa. 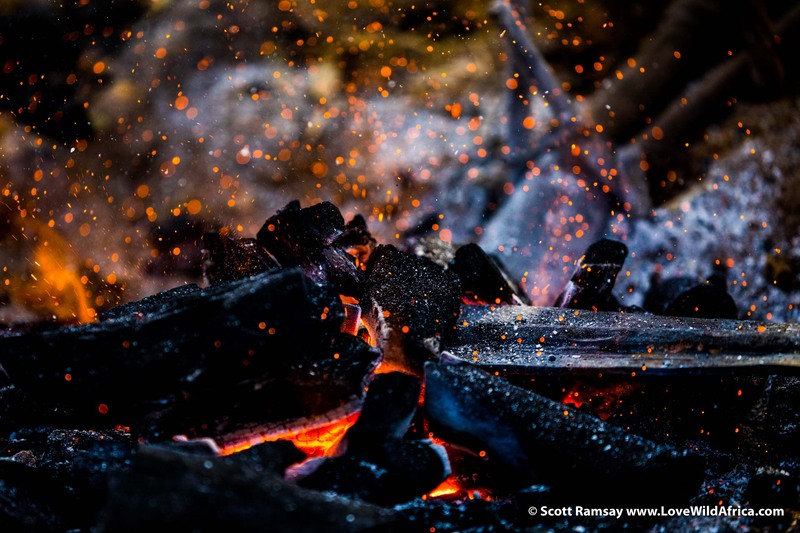 Mostly I prefer to camp out under the stars and cook on a wood fire (with cold beer at hand if possible). But I reckon any fool can be uncomfortable, so I’m always grateful to stay at a lodge where I can have a hot shower and fresh meal. But the lodge should never be the reason to visit a wilderness area. For me the most important factors on a safari will always be the land, the animals, the local people…and that intangible, ineffable spirit of place which makes Africa so appealing. I think lodges are a means to an end, a way to connect with a wild place. The lodge can add to the experience, but it should never be the experience, surely? Of all the lodges I’ve visited, Sasaab Lodge is one that stands out. This Moroccan-style eyrie on top of a ridge above the Ewaso Ng’iro River adds so much to the rich experience of Samburuland. More about it later, but for now I’m sitting on a comfy couch in Sasaab’s open-air lounge, sipping a gin and tonic (cold beers are available too of course) and I’m watching the sun set behind the mountains. A herd of elephants is drinking from the shallow river below. 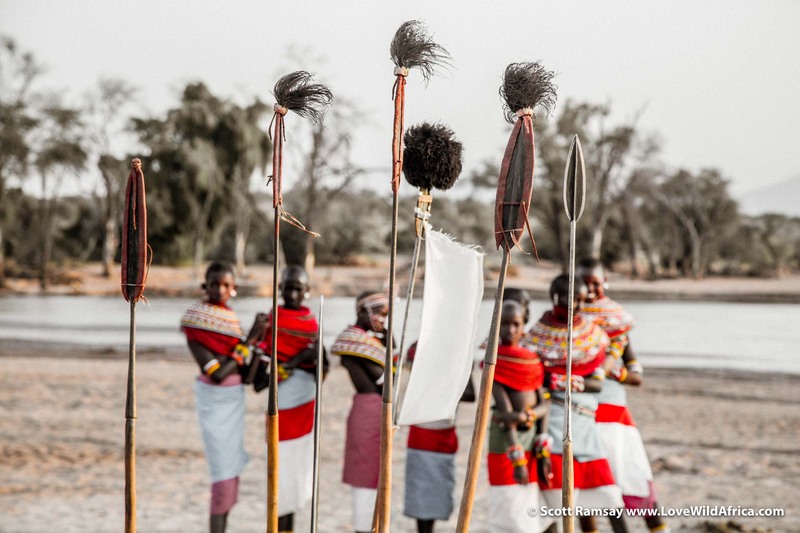 I can hear the chants of Samburu warriors who are dancing for the young women on the river bank. It’s pretty intoxicating (gin and tonic aside). Staying at the impressive Sasaab lulls one into a deceptive sense of comfort…don’t forget that you’re still in Samburuland. Consider that, up until the 1970s, the Northern Frontier District (as this region was called) was once considered too dangerous to visit. Back then you’d have to apply for a special permit from the British colonial government. Unlike Laikipia where land was leased to British soldiers returning from World War I, Samburuland remained off-limits to outsiders. It was beyond the law of the colony and if things went awry, well, you’d be left to sort things out for yourself, old chap. No-one was coming to rescue you. Things eased up a little when Kenya became independent in 1963, but even afterwards this land remained aloof and secretive. Today the land of the Samburu people still feels like it should be in north Africa, not Kenya, even though it’s in the middle of the country. 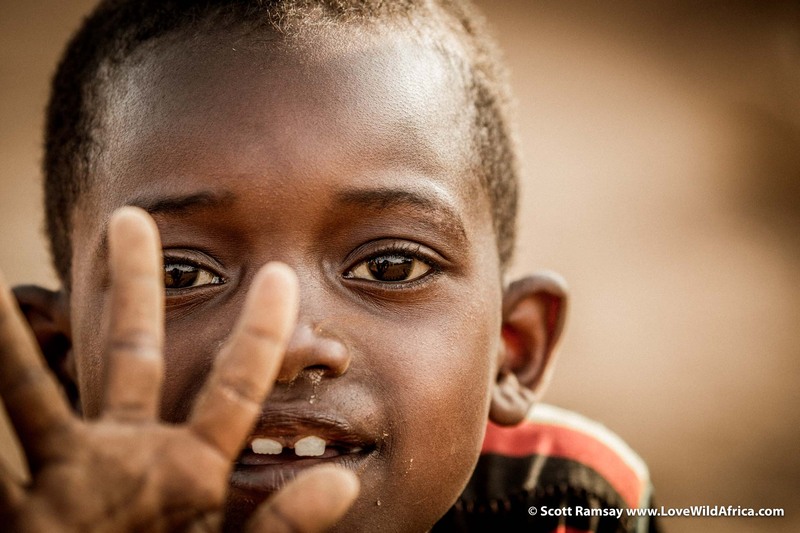 After my stay with Mikey and Tanya Carr-Hartley at their camp in Suyian, we drove in two Land Cruisers along bumpy roads for most of the day, heading east and north, from the temperate highlands of Laikipia into the semi-arid lowlands of Samburuland. It felt like another country. Samburuland doesn’t seem to belong in Kenya, it seems closer to Sudan or Somalia…why? The landscape is one factor. It feels immense and rough. The soil is blood-red and the huge plains and dark grey mountains are intimidating, a very different scene to what we’d left behind in Laikipia. (The rugged handsomeness reminded me very much of Damaraland or Kaokoveld in northwest Namibia). There’s the burning heat too, and the semi-arid climate, unusual for most visitors who know the well-watered savannas of the Kenya seen in tourist brochures. 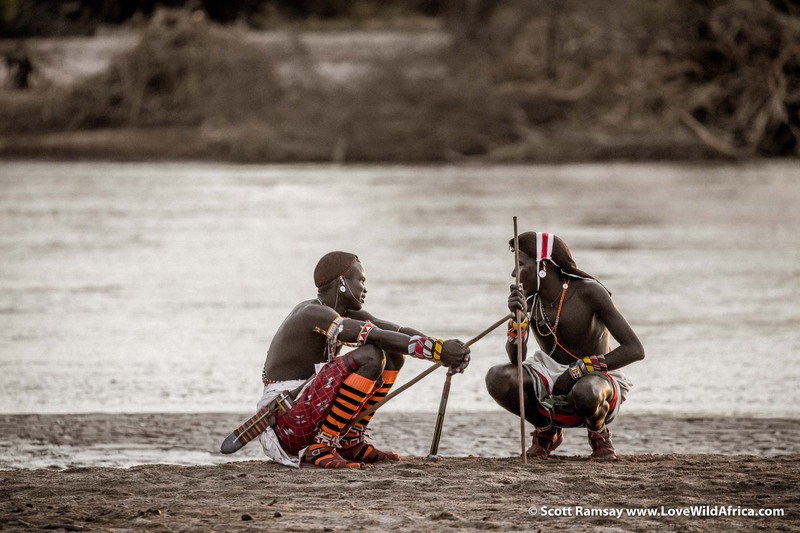 The Ewaso Ng’iro River flows like a vein of life, and without it, Samburuland would be a very thirsty place. Then there’s the feeling of “old” Africa. Wild animals like elephants, zebra, oryx, lions and leopards live on the same land as the people and their livestock (another similarity to northwest Namibia). Everything is continuing to evolve alongside everything else. All the creatures (including humans) are being mixed and stirred all the time. Nothing is separated. One minute you’re passing a group of Samburu boys with their cattle, and the next you’re side by side with a herd of elephants. It’s authentic. This is how most of modern mankind has lived – and evolved – for two million years…humans surviving off the land as just one species out of many others. Obviously its no fairytale, because there’s always a tension between humans and the wild animals. For example, elephants raid crops and trample people, lions eat old people and children, and humans kill the animals as well. 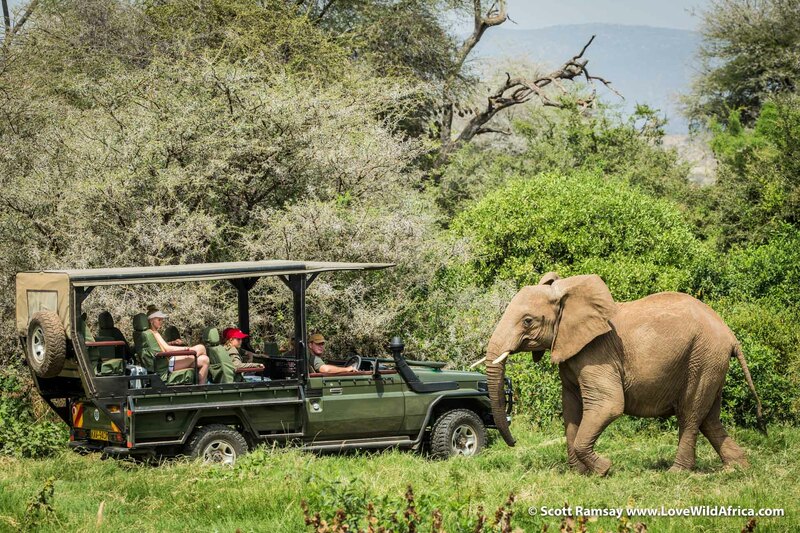 But that’s one reason why Samburuland is so interesting and refreshing as a safari destination. It couldn’t be more different to some of the highly regulated national parks of Africa where people have been removed from the land, and live separately from wild animals. Think of the Serengeti, Maasai Mara, Kruger, Etosha, Mana Pools, Hwange, Chobe or many other famous protected areas in Africa. Don’t get me wrong. All these places are remarkable and very necessary in the modern world, but they are still largely artificial because the original humans have been removed from their landscapes. Homo sapiens didn’t evolve separately from Africa’s wilderness, we evolved in deep relationship with it. 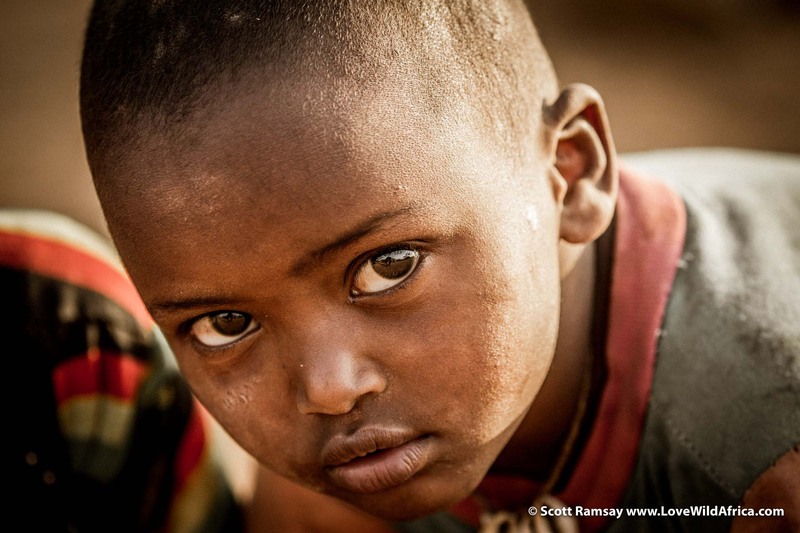 Humans are humans because of this continent’s wilderness. Our DNA was born in Africa, in places like Samburuland. In fact this region could be the birthplace of humankind. At nearby Lake Turkana, several early-human skeletons have been found, some dating back to more than 4 million years, the oldest ever discovered. This is ancient human territory. But, for me, the people are the biggest factor why Samburuland feels like another country. The tall, gracile tribe still live largely like they did five centuries ago, when their ancestors moved down from the White Nile, and settled into what is Kenya today. 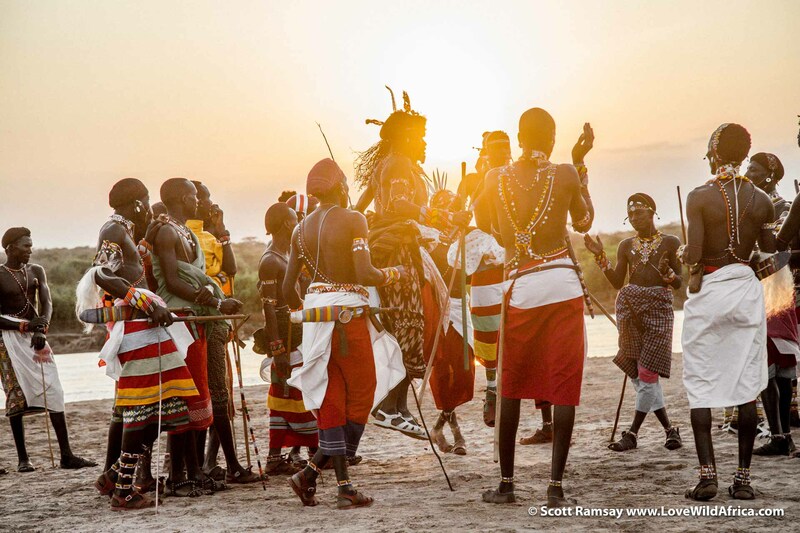 Their cultural cousins the Maasai continued south and west into the savannas, but the Samburu stayed behind, and made the semi-deserts plains and mountain ranges their home. 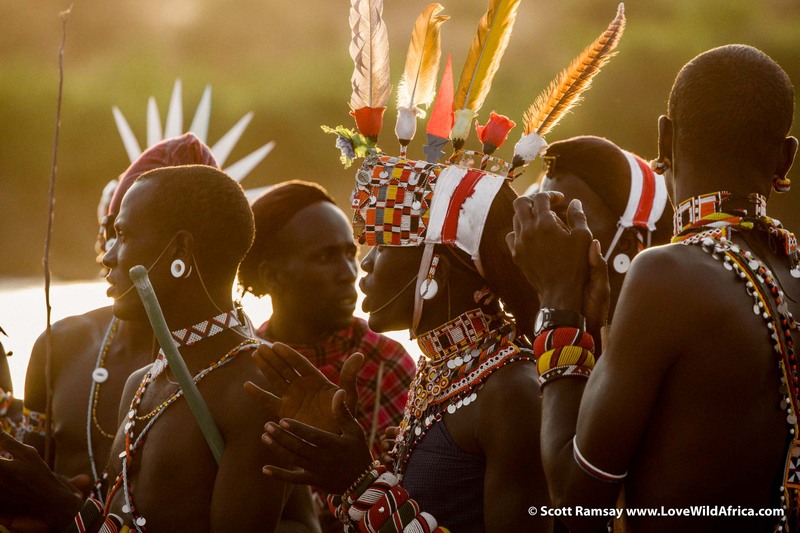 Like the Maasai, they speak Maa but the Samburu dialect is apparently more rapid. Politically this region has been forgotten by the Nairobi government but the Samburu seem quite happy to be left alone. Or perhaps the government is a little wary of them. The semi-nomadic pastoralists are stubbornly independent, and a few of them have a penchant for carrying AK-47s like we carry our iPhones. 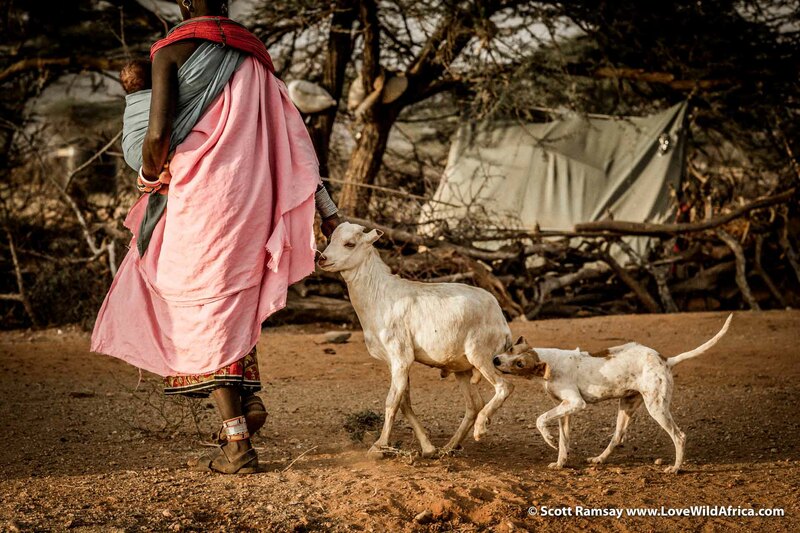 Like the Maasai, the Samburu are devoted pastoralists and their livestock means everything to them. Their cattle and goats are their food, their wealth, their pride. They will defend their grazing lands – and fellow Samburu – to the death from other tribes who encroach into the region (especially during droughts when pasture is scarce). 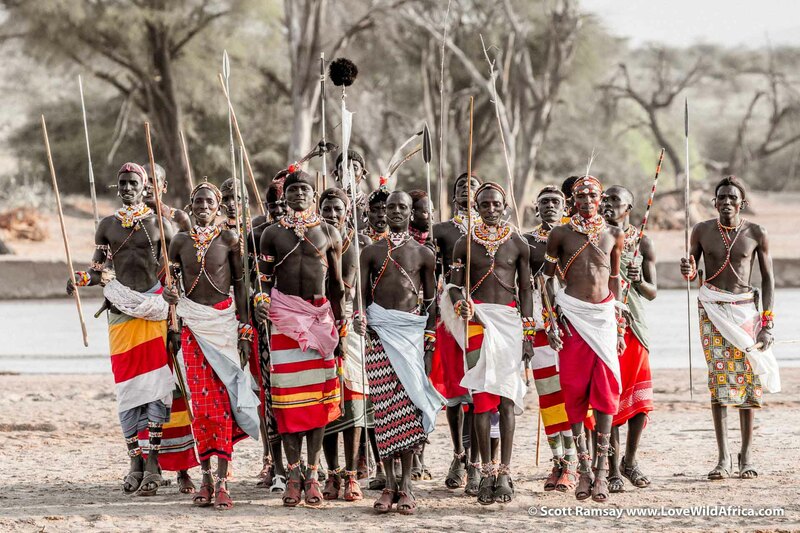 Armed skirmishes between the Samburu and adjacent “enemy” tribes (like the Pokot or Turkana) are not uncommon. (As one local told me, there’s no state law enforcement in northern Kenya. “Up here, people sort their own problems out”. Maybe not much has changed since colonial times). My Samburu warrior guide Jacob Lengolos told me in passing on my first day at Sasaab that a few of his friends had been involved recently in a fire-fight with some “other people” who had entered the territory, and yes, there’d been a few deaths, but hey…Jacob spoke as if he’d been talking about the weather. 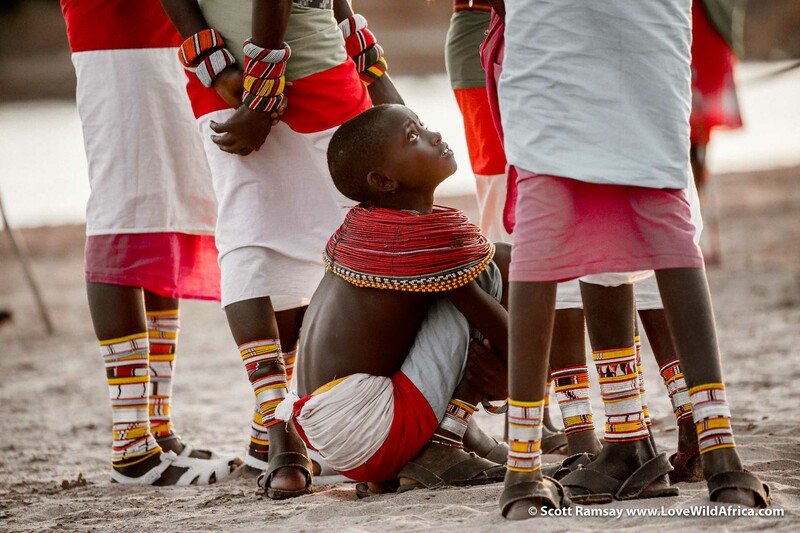 The Samburu seem wonderfully indifferent to outsiders and are almost bemused by your presence. For sure, they are welcoming and friendly (if you respect them), but you definitely feel like a visitor. You are entering their world, and they ain’t gonna change it for you. And it’s a very different world to ours. Societal customs are hard for most outsiders to understand; the details may shock you. 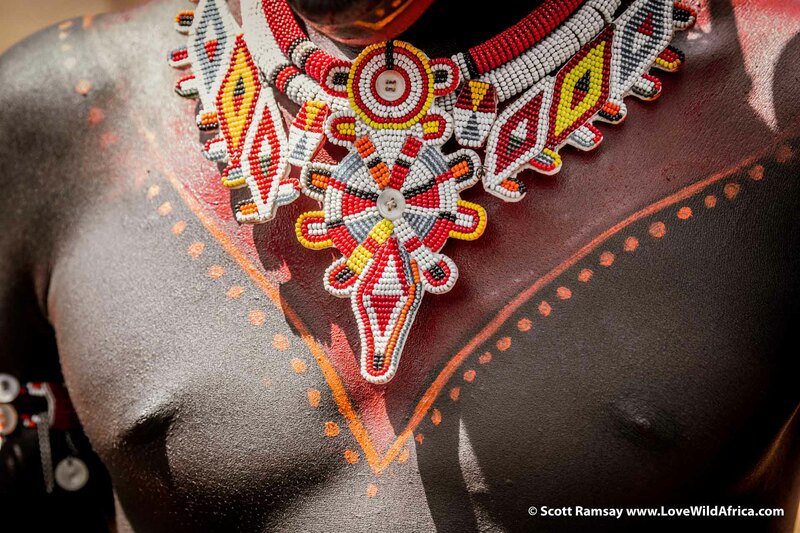 Google “Samburu beading” and “female circumcision”. I’ll leave you to do your own research on those topics. Males are also circumcised, between the ages of 14 and 25. Then they become part of the warrior (or moran) class. Thereafter these warriors are entitled to choose multiple lovers from the young girls (some very young). Then once both the men and women reach a certain age, polygamous marriages are arranged by the elders. Almost always, marriages are for strategic reasons. Love has nothing to do with it and that’s just the way it is. Both men and women dress extravagantly, with bright colours and plenty of beaded necklaces, bracelets and anklets. The warriors, in particular, are an intriguing mystery for most foreigners who are more used to stereotypical western ideals of manhood. 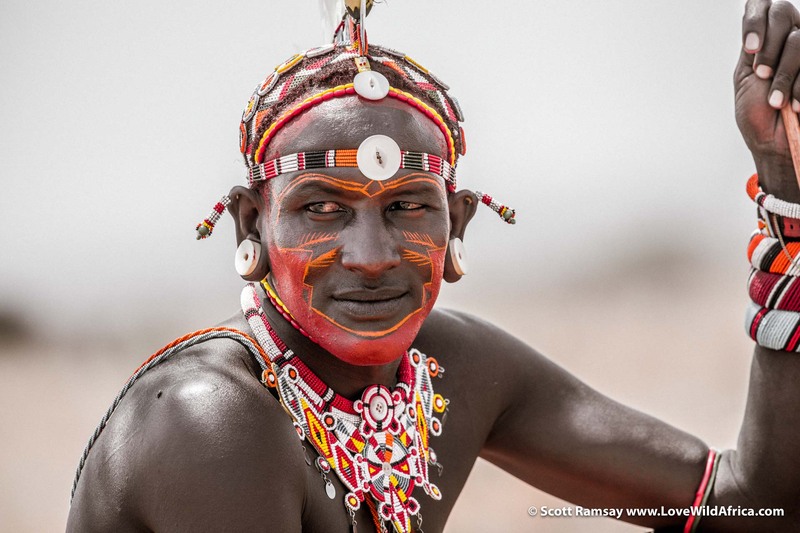 At first glance the young Samburu men appear androgynous, wearing brightly-coloured skirts, elaborate headgear and plenty of shiny jewelry. They seem to move lightly across the rocky ground, like prancing gazelles. Yet the warriors are probably some of the toughest Homo sapiens and seem completely at home in the searing heat and challenging topography. 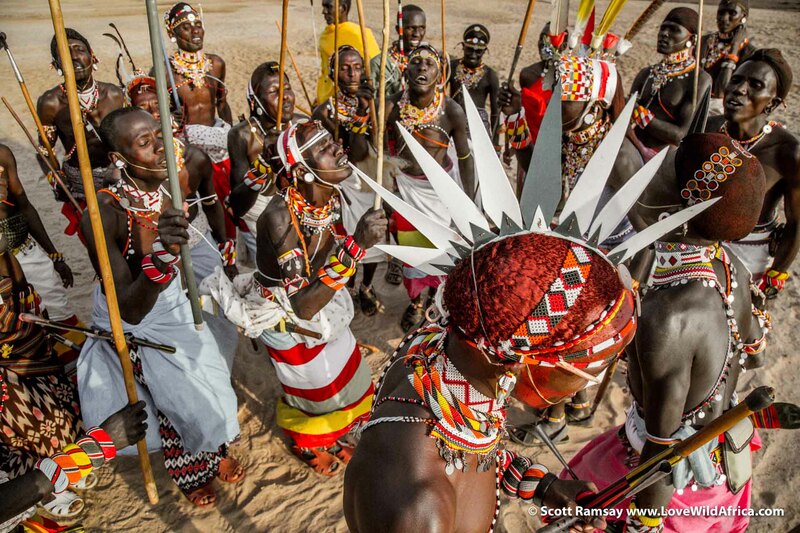 With their AK-47s and sharp spears, there’s an edge about the Samburu moran, a care-free recklessness and fearlessness of life (and death it seems). They seem to live without any worry or anxiety whatsoever. No need for psychologists in this part of the world! 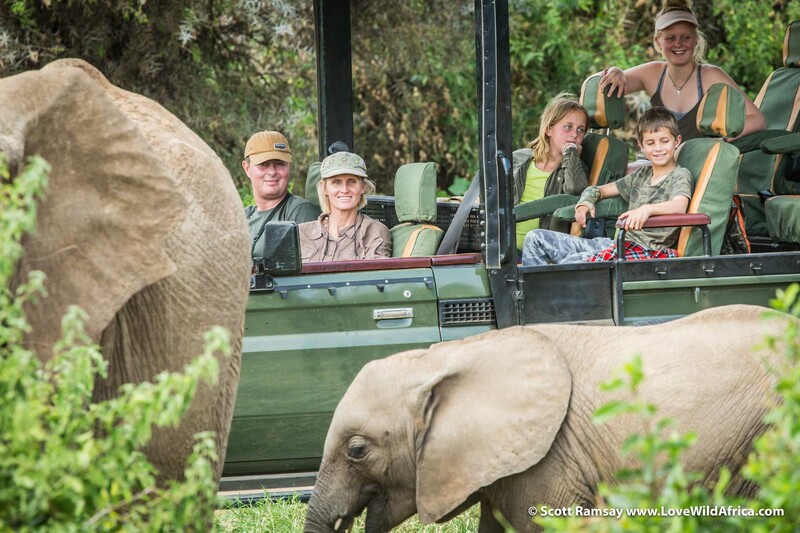 As fourth generation Kenyans with well-established reputations in the safari industry, Mikey and Tanya Carr-Hartley understand what’s at stake. 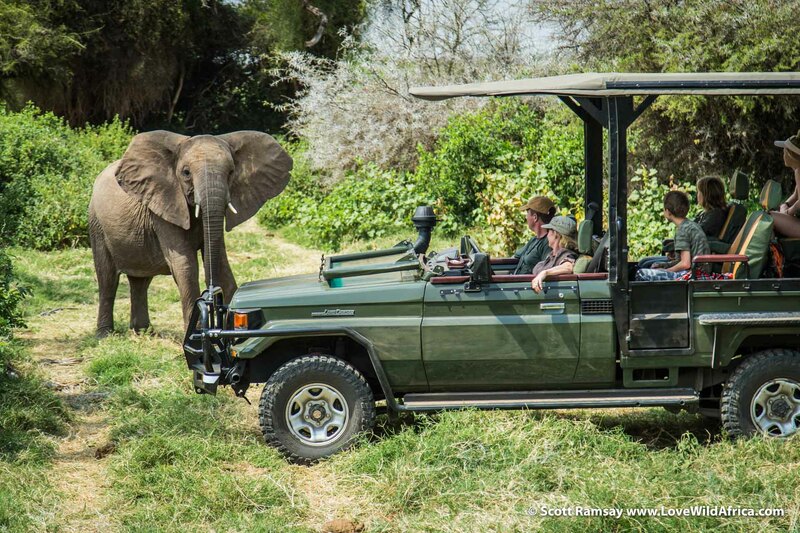 They know very well how complicated and capricious Africa can be, yet they’ve succeeded in building a thriving safari business in Kenya from scratch. 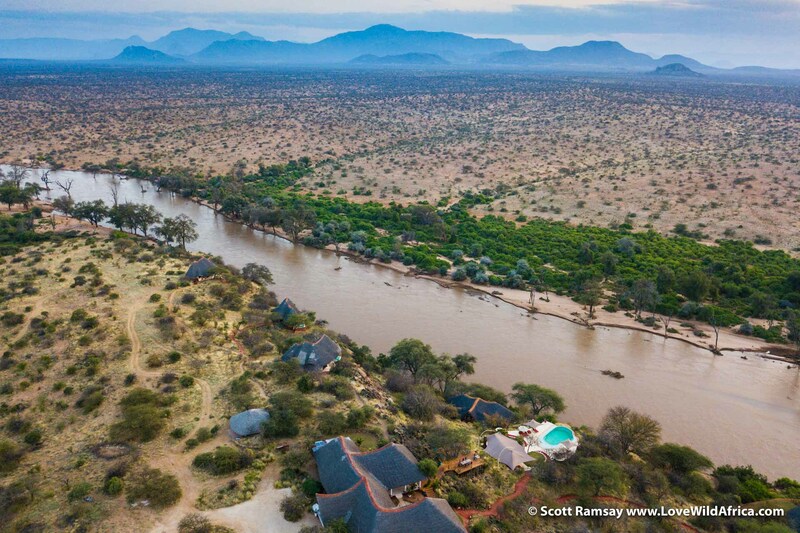 Their company The Safari Collection operates four lodges, including Sasaab. The best thing for me about Sasaab is that you’re connected to your environment. The rooms are built in a Moroccan style without windows or doors. This is important, because Samburuland can get very, very hot. It would have been easy to design a lodge that was air-conditioned and hermetically sealed from the hot conditions. Instead Mikey and Tanya embraced the landscapes and climate, and designed the lodge to make full use of the breezes. Each room also has its own plunge pool, which is always colder than you expect because of the high evaporation rates. Even though it’s luxurious, Sasaab is still laid-back and discrete and doesn’t try to be the centre of attention. And the staff seem genuinely delighted to have you stay. The service is professional but effortless, and there’s a family atmosphere (a common theme at all four Safari Collection lodges). 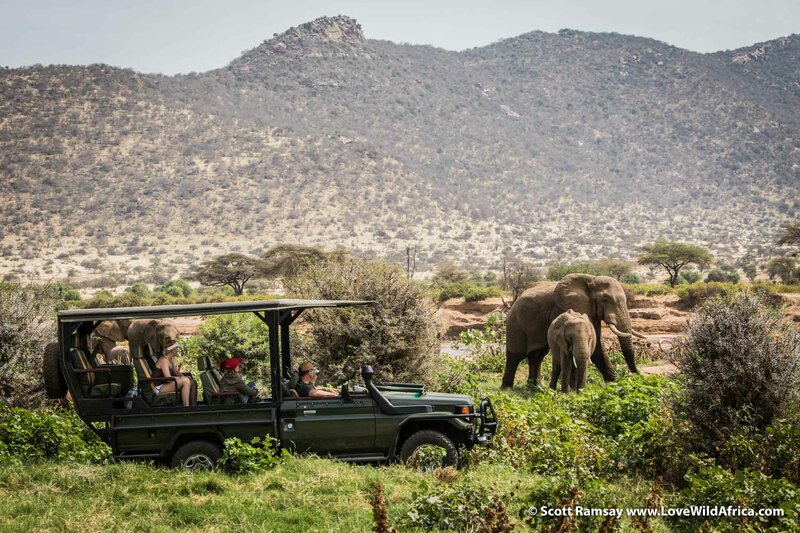 Also, Sasaab lies just an hour’s drive away from both Samburu National Reserve and Buffalo Springs National Reserve, which are the designated protected areas. But they’re really just names on a map. The wild animals go where they want. 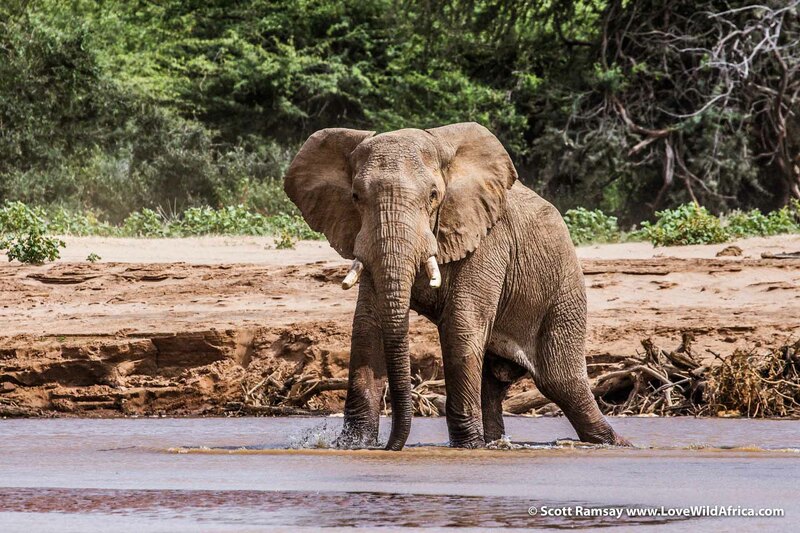 So elephants drink from the river below the lodge, and lions, leopards and hyenas patrol between the rooms at night. Early one morning, I woke up while the stars were still bright. I lay there listening, as if my subconscious was trying to tell me something…then I heard it. A male leopard calling, it’s rasping cough probably just a few metres from my room. For me, that’s the be all and end all of any lodge experience. Can you hear the leopard near your room? Yes? Then I’ll always come back! Sasaab is just 20 kilometres from Samburu National Reserve. Mikey drove us there in his open Land Cruiser and soon we were surrounded by a breeding herd of elephant on their way to drink from the river. We got out and watched them for a while, then turned and saw a big bull come marching through the shallows towards us. He marched directly up to us, as if to say, “Welcome, humans!” Then coming closer, he kicked up some dust in the air and shook his gigantic head, a clear sign of dominance that seemed to say “Just remember, this is my land, humans!” We weren’t about to argue with him, of course. 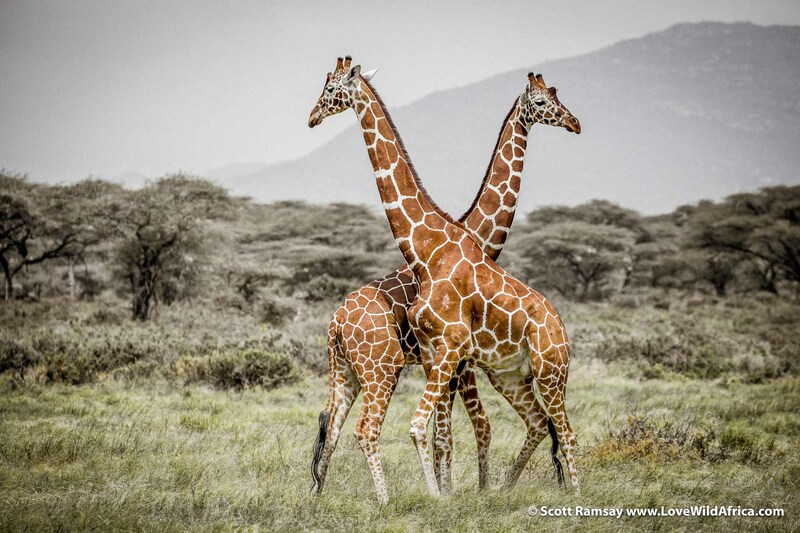 Besides impressive elephant numbers, the national reserves in Samburuland are also home to unique species like Grevy’s zebra, reticulated giraffe, Beisa oryx and the bizarre-looking gerenuk, an antelope which thinks it’s a giraffe. Whereas a place like the Mara is crammed with animals during migration season, Samburuland’s wildlife is sparser and tends to concentrate around the river. When you see something you’re very aware of it, and somehow you appreciate it a little bit more. The overall atmosphere, too, is wilder than the Mara, somehow. It’s rough and ready, rather than manicured and packaged. Samburuland’s wilderness is famous for being one of two locations of Joy and George Adamson’s camp when they were raising Elsa the Lioness, the subject of their book and film Born Free. The Samburu National Reserve is also famous for the remarkable Kamunyak, a lioness that adopted several Beisa oryx calves and defended them against other lion prides. 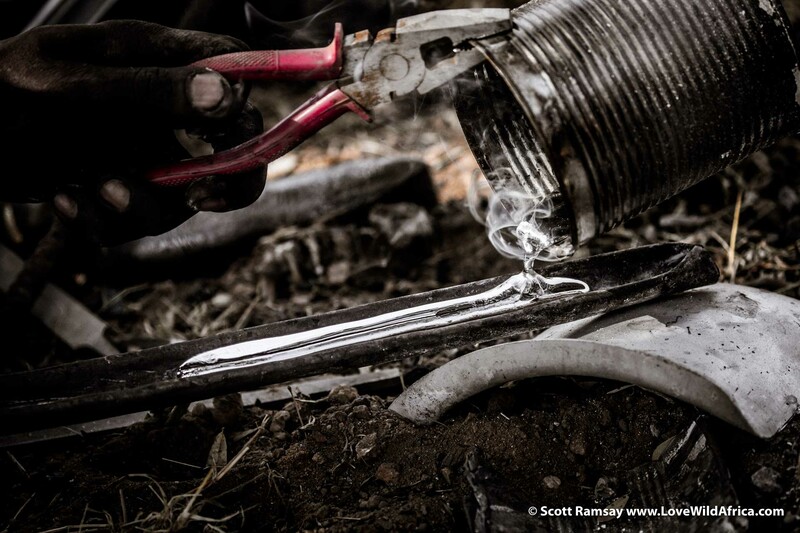 Exceptional stories like these add to the enigma of Samburuland. It does things differently and the people epitomise this quality. They still seem to be the masters of their own destinies…for now. I wasn’t surprised to hear that one of my boyhood heroes – Wilfred Thesiger – lived among the Samburu for 20 years towards the end of his remarkable life. The British explorer was the last great adventurer of the modern era and he chose to spend the end of his life living in the town of Malalal (but because of health reasons he had to return to the UK). If you read Thesiger’s autobiography “The Life of my Choice”, you’ll understand why he admired the Samburu so much. Like him, they resisted globalism and capitalism, the powerful forces which were then – as they are now – engulfing Africa. Thesiger lived life on his terms and the Samburu do the same. 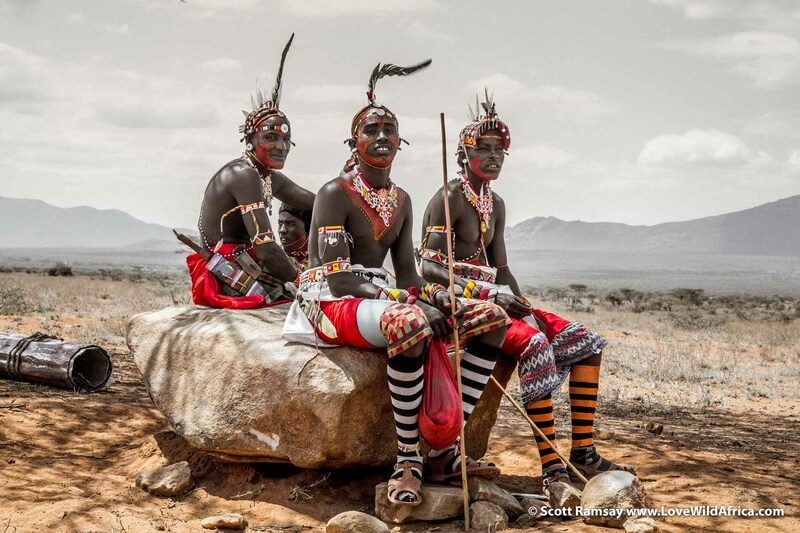 On our way into Samburuland near the Matthews mountain range, we came across this group of Samburu men, dressed up in ceremonial wedding attire. Mikey asked them if I could take a photo…and they seemed happy to let me do so. Samburuland moran. The men are renowned for taking pride in their looks…I suppose just like any high-rolling banker in New York or London wearing an expensive suit and tie. Like birds of paradise who attract females to their nests, the elaborate body painting and bright beads of the moran also seem to draw female attention. 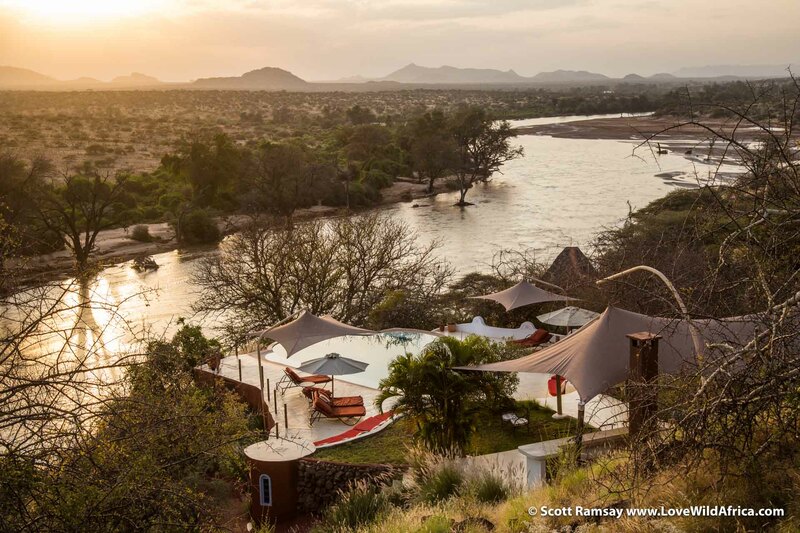 Sasaab Lodge is on a ridge above the Ewaso Ng’iro River, one of the more memorable lodge views I’ve seen. 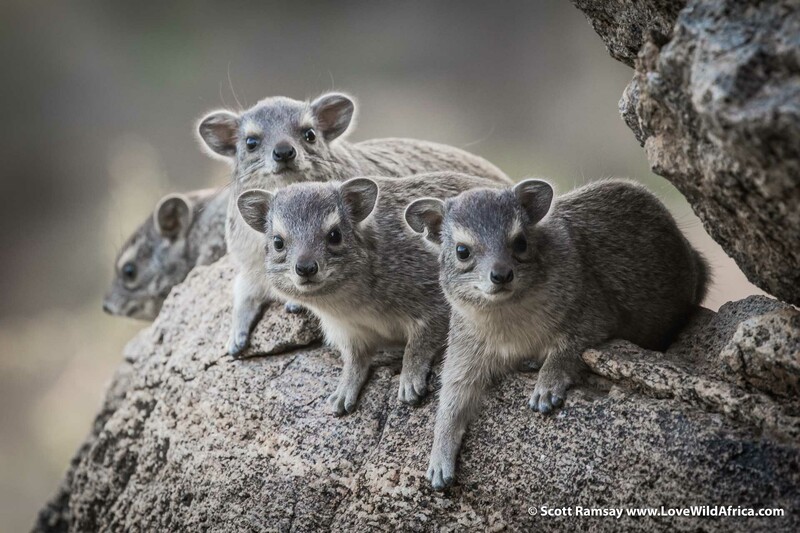 These are bush hyraxes…these particular fellas (or ladies) were checking me out near my room at Sasaab. This species (Heterohyrax brucei) seems cuter than the rock hyrax species (Procavia) which are also found in Kenya and Southern Africa. Drone view of Sasaab, looking west. 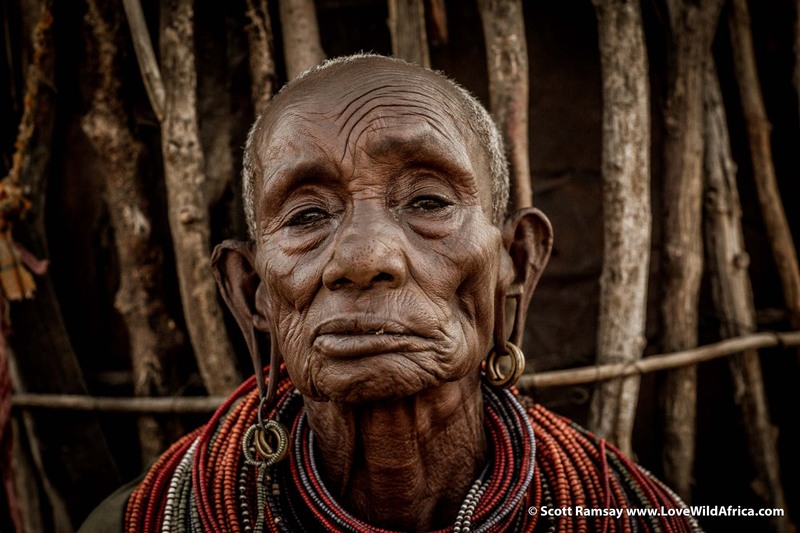 Some places in Africa just feel older than others (you may have to visit to understand what I’m talking about)…Samburuland is one of these. 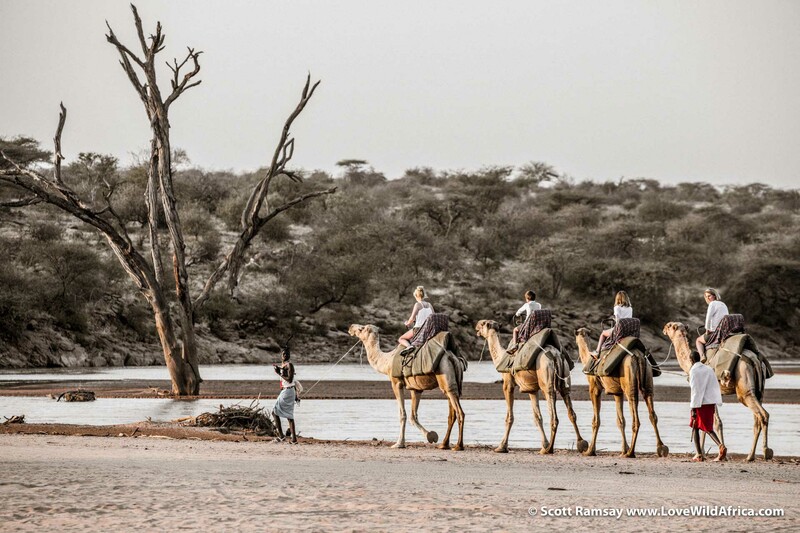 Camels…another reason why Samburuland feels like it’s more part of North Africa than Kenya. 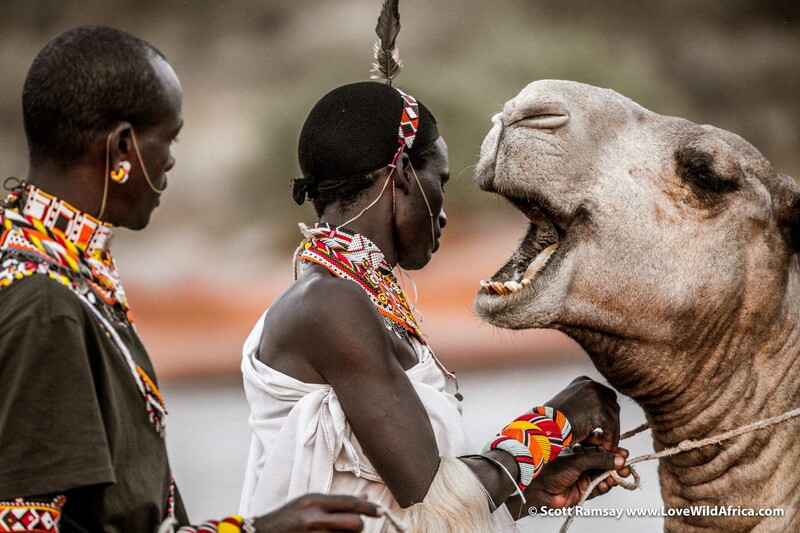 But it was only relatively recently in the 1960s that the Samburu started using camels extensively. A series of droughts and increasing raids by Somalians caused cattle numbers to plummet. 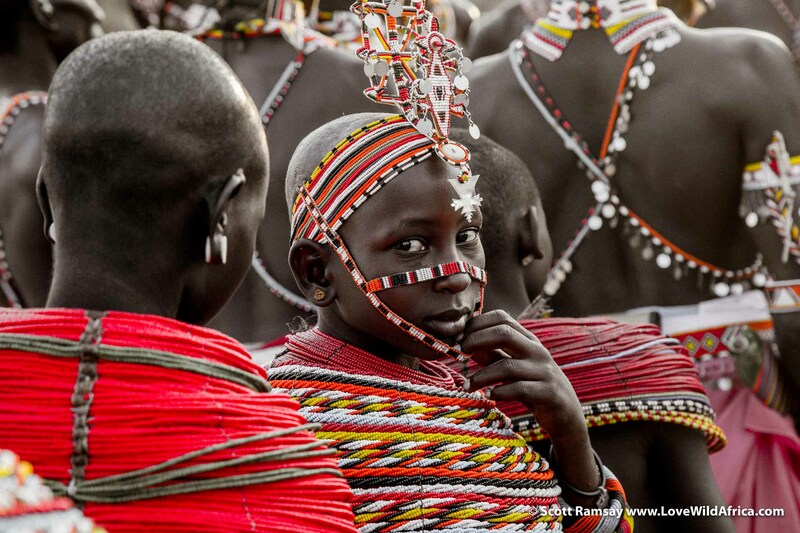 Samburu rely mostly on milk, blood and meat for their diet, so they began trading cattle for camels from the Rendille people from the south-east of Lake Turkana. Camel milk became a critical food source for a growing human population that had fewer cattle. One of the activities at Sasaab is a camel ride along the banks of the Ewaso Ng’iro…honestly, I was quite happy to take the photos. I’ve got an affinity for most animals, but an inexplicable aversion to these eccentric creatures! These are photographic moments that I live for…and almost always they seem to appear when I least expect them. 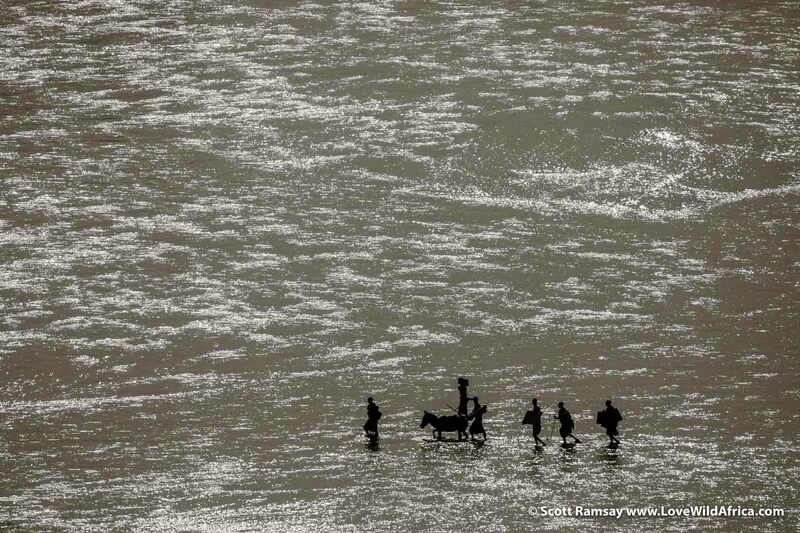 We were getting ready to leave Sasaab one afternoon, and these Samburu started wading across the shallow Ewaso Ng’iro River…they were probably five kilometres away from our viewpoint at the lodge, so I used my 100-400mm lens to zoom in. The texture on the river is sunlight reflecting off the water…it was mid-afternoon, and very bright. 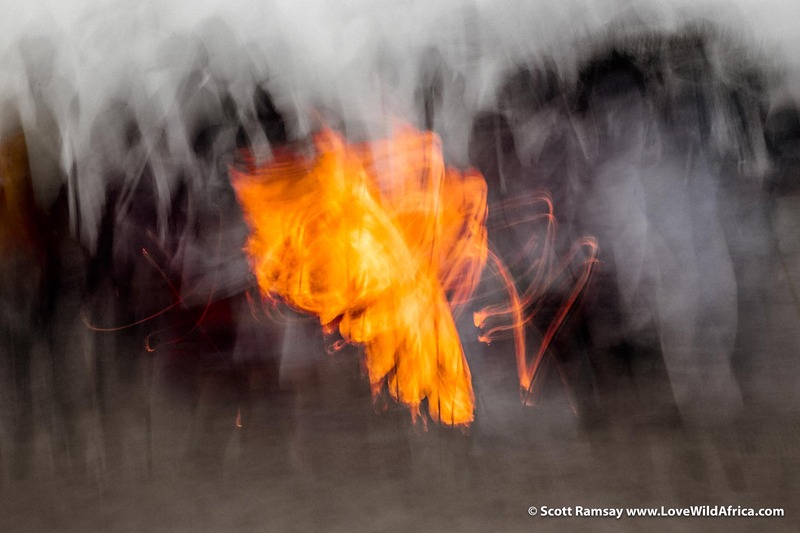 For me, this image is symbolic of Samburuland…it’s a dreamy, enigmatic region of stark constrasts. A wide-angle view of the previous photo…this is what I saw from the lodge, then I realised that if I zoomed in with a telephoto lens, I’d be able to create a more abstract, arresting image. 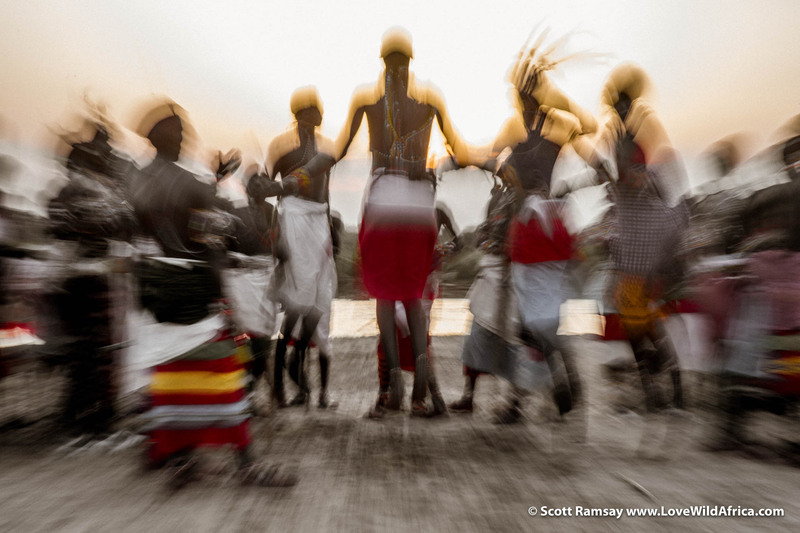 There are infinite photographic opportunities during a Samburu moran dance…its best to have two cameras, one with a wide-angle and another with a telephone lens. 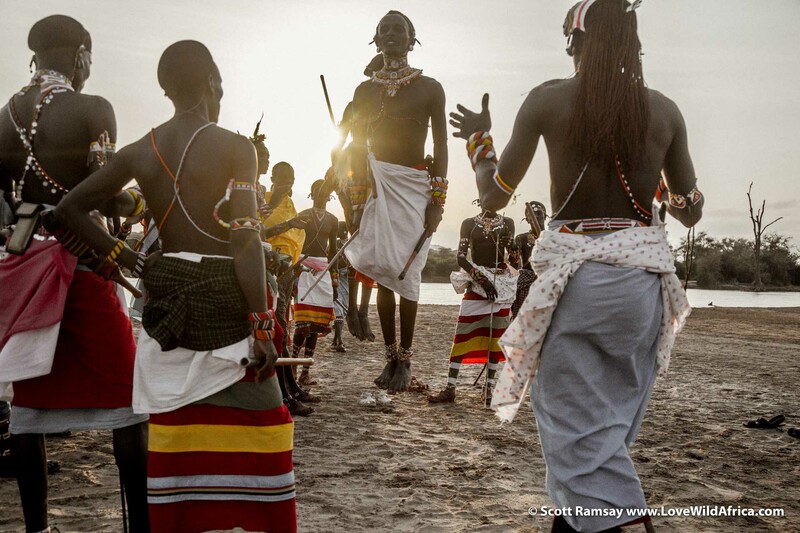 One of the impressive opportunities for guests at Sasaab is to witness a Samburu moran dance, where the warriors dance and chant for the young women. Sometimes these sorts of “cultural interactions” between local people and tourists can seem cheesy and contrived, but the Samburu are mostly oblivious to anyone watching them, and the whole occasion feels authentic. These are my favourite sorts of photographs. A moment of recognition, of being seen as an individual, in a scene of conformity and convention. The image can be of people, animals, trees…where is the exception to the rule? And how do you show that? Shooting into the light is not always easy, but when you manage to make it work, it’s always more interesting to the viewer…I think. Another “exception to the rule” photo…a moment of individualism in a group. Discussing strategy for the afternoon dance…or perhaps comparing notes from a recent skirmish. Another “into-the-light” photo…these days, digital cameras have excellent dynamic range abilities, so even with bright backgrounds, the shadows still retain quite a bit of detail. Playing around…for this image, I set my camera to take an image with a shutter speed of about half a second, and as I pressed the shutter button, I zoomed my telephoto lens to create a “woooosh” effect…doesn’t always work, but when it does, it’s interesting. 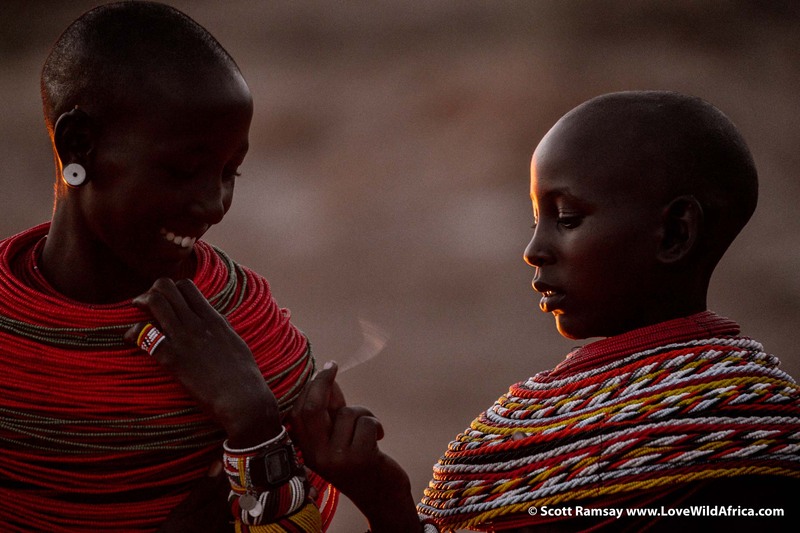 The Samburu are a documentary photographer’s dream…the bright colours of their jewelry and cloths, contrasted with their smooth, coffee-coloured skin are endlessly photogenic. I used a slowish shutter speed, and moved my camera when pressing the shutter button. 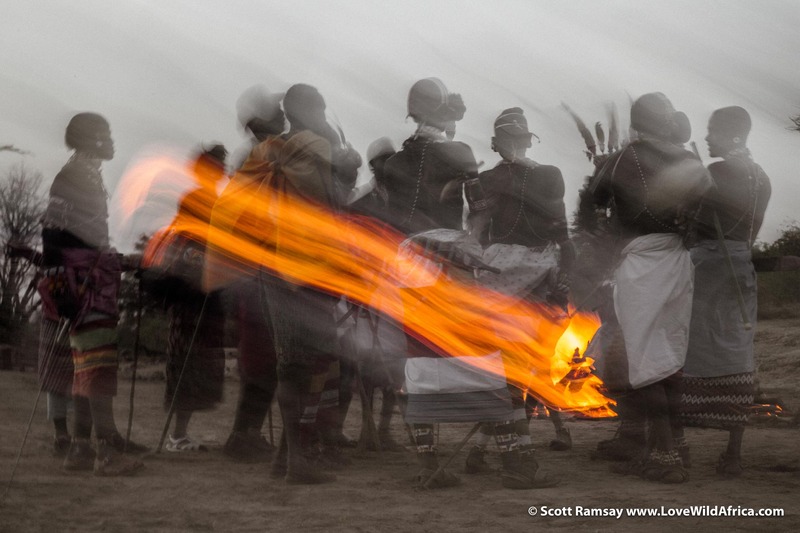 I think this image works symbolically…the essential reliance of humankind in Africa on fire for suvival…and the way that fire has weaved it’s magic into human societies. It’s been our most valuable companion, and is writ large across all of us. 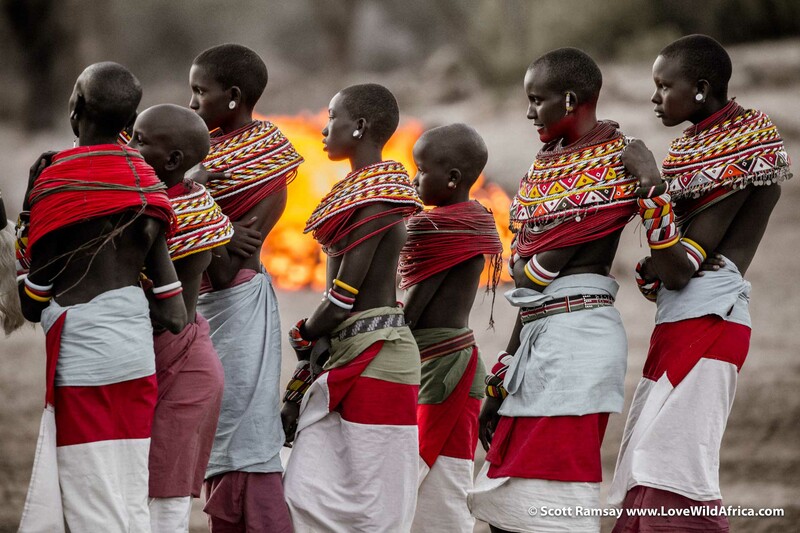 Young Samburu women admiring the moran dance…their tall, elegant frames are impossible to ignore. Another image where I used a slowish shutter speed and moved the camera while taking the photo. Again, I like this image, because it’s different and unexpected. 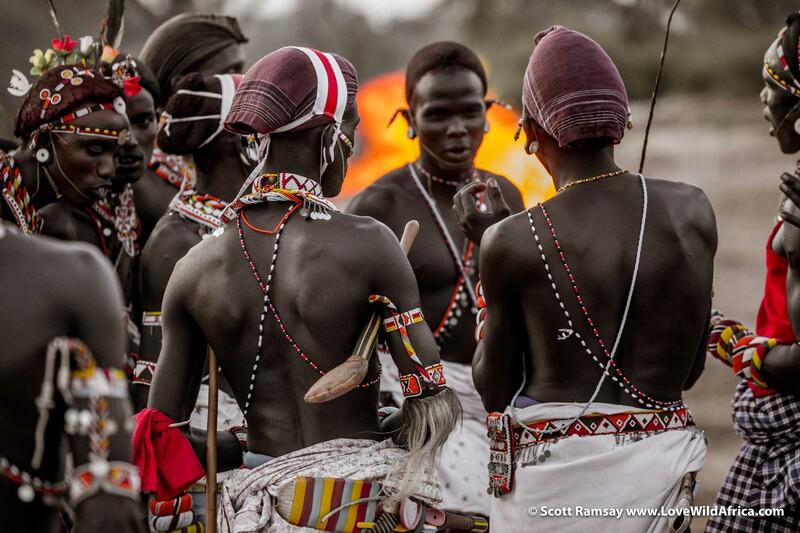 Does it matter that you can’t see that it’s Samburu people dancing in Kenya? I don’t think so…it leaves one wondering what it could be, right? 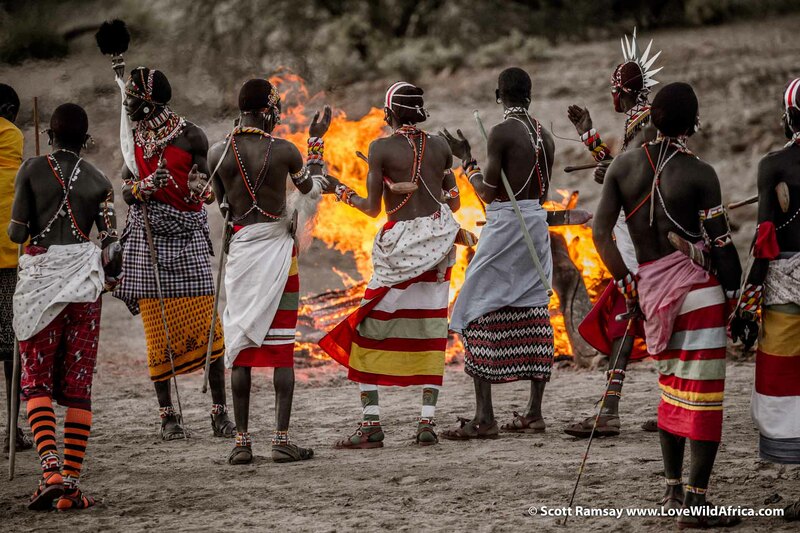 I love how the colour of the fire matches the yellows on the skirts and beads of the Samburu…and how the warriors’ hands and arms seem to be imitating the movement of the flames. 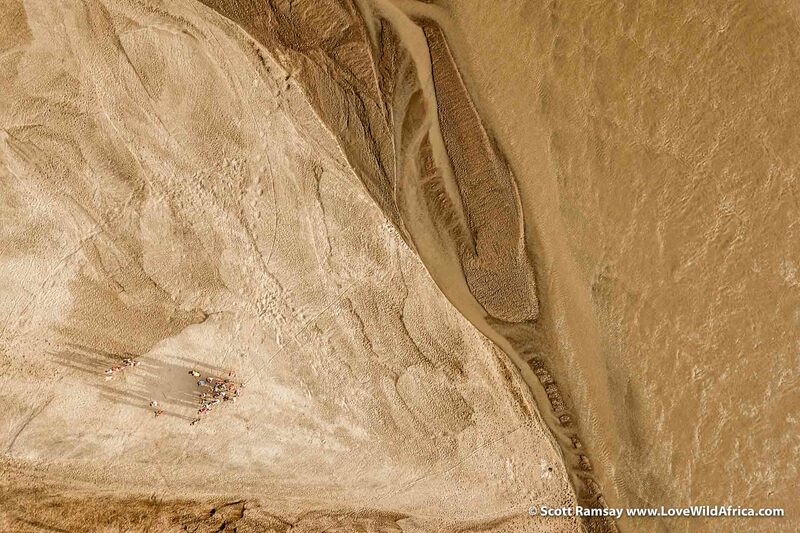 Eagle view of the Samburu warriors and women, on banks of Ewaso Ng’iro River. 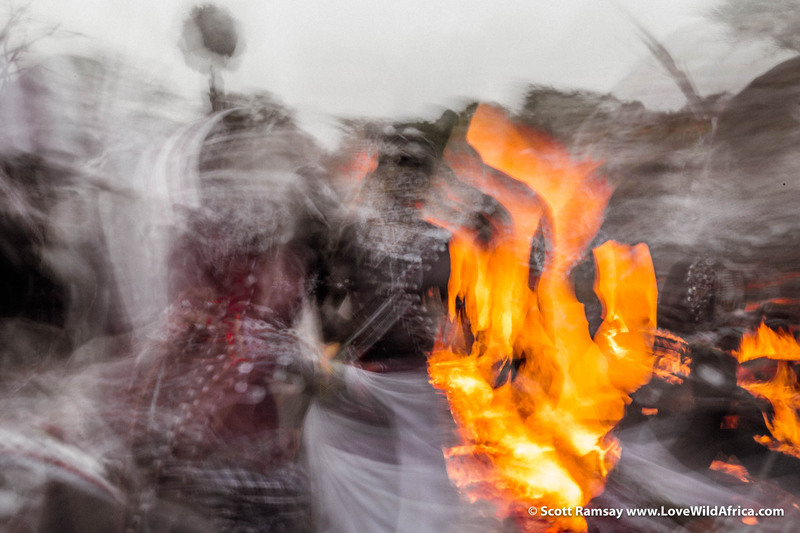 It was almost dark when I took this image, so had to use a slowish shutter speed…the light on the women’s bodies is coming from the fire. 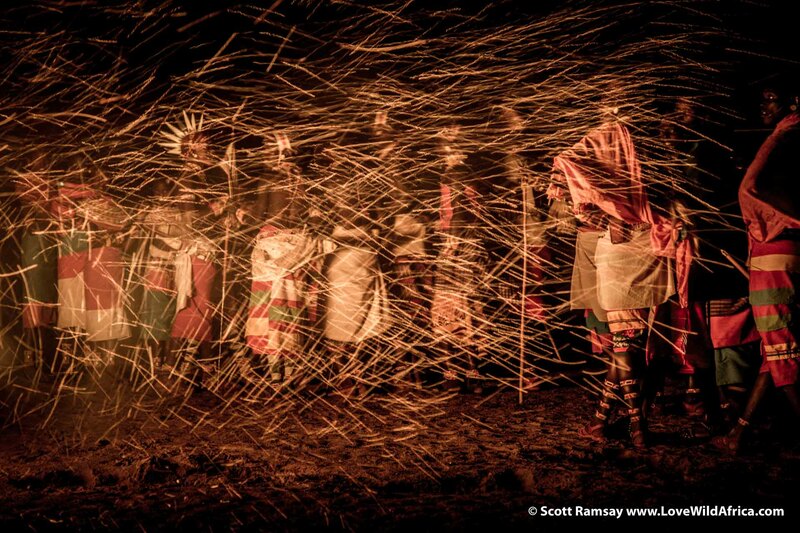 Sparks from the fire, with warriors behind…my favourite image from the dance. 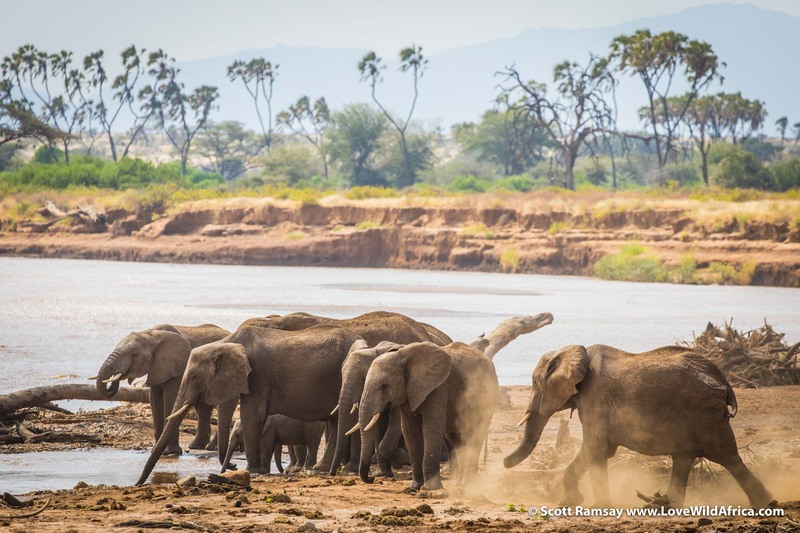 Breeding herd of elephants drinking from Ewaso Ng’iro River, in Samburu National Reserve, to the east of Sasaab Lodge. Note the beautiful doum palm trees in the background, a distinctive feature of this part of Kenya. Interestingly, it’s commonly found on the Arabian peninsula too…this part of Kenya really does have an Arabic/North African feel to it. This big bull came wading across the river towards us, then gave us a shake of his head to scare us a little…just to make sure we knew our place in the heirarchy of this wild land. 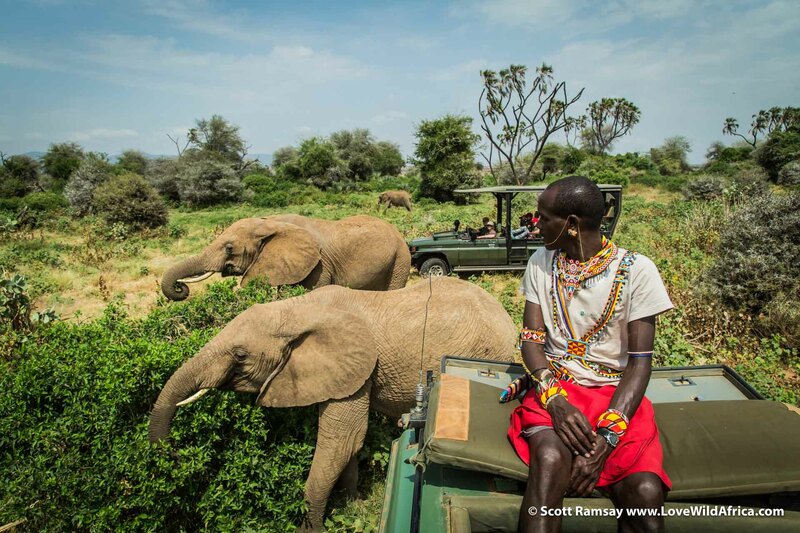 Samburu superhero Sessen, friend and ally of the Carr-Hartleys, saying hi to the ellies…despite poaching in the region, the elephants in this part of Samburuland are mostly relaxed around vehicles. 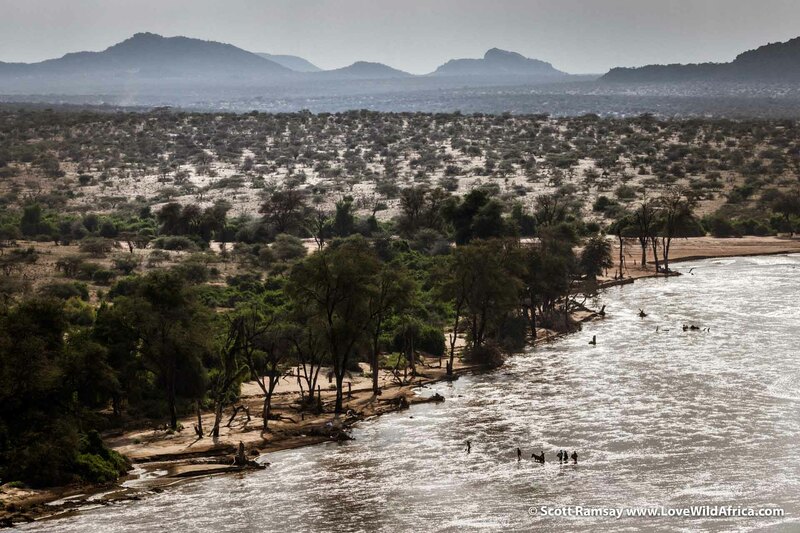 Very relaxed…and amazing to see how quickly this semi-arid region responds to a bit of rain. Everything becomes very lush and green, especially on the river banks. I think Kinna has seen enough elephants, and wants to go fishing. 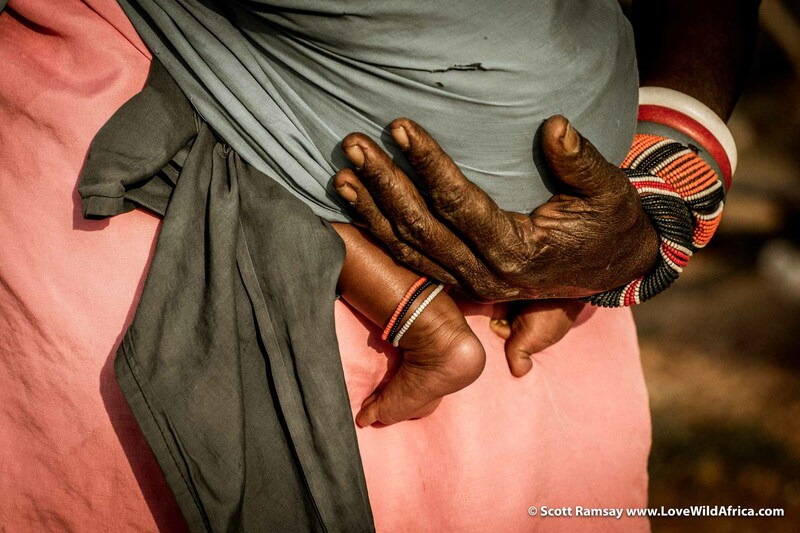 What it’s all about…and why Africa and Kenya and Samburuland are so valuable, in so many ways. Sessen, putting me out of a job. 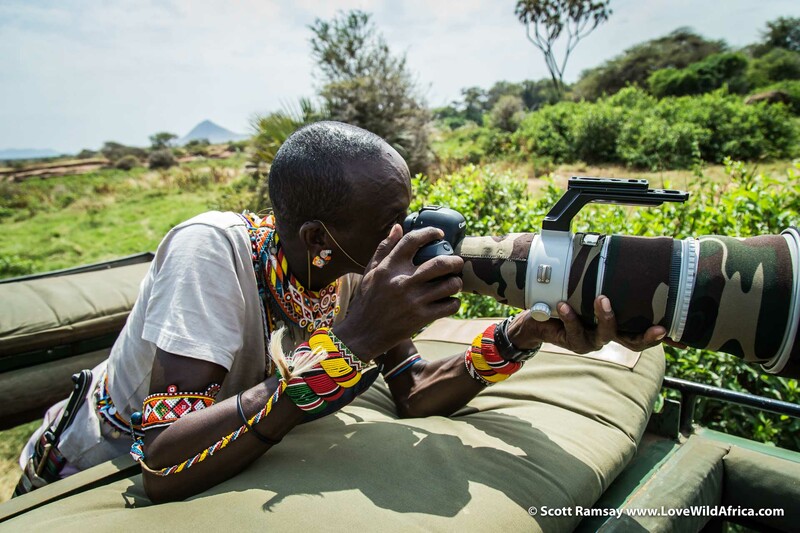 He’s certainly a more accomplished photographer than I am a Samburu warrior! 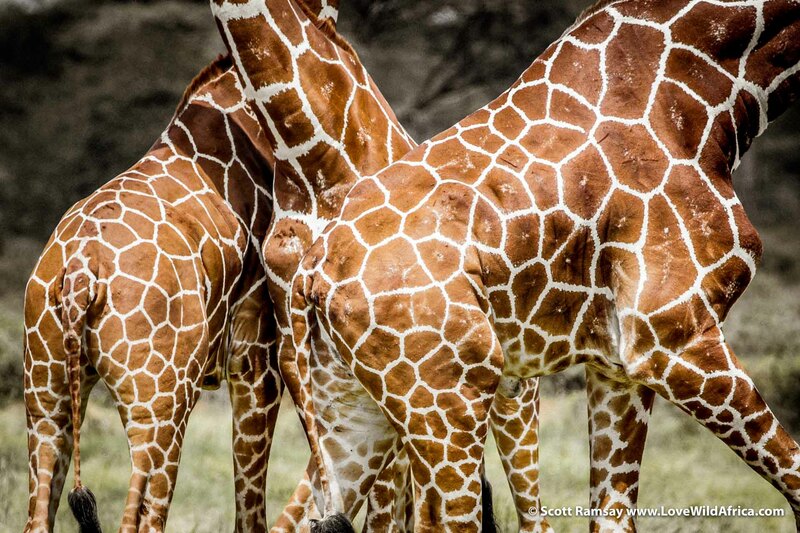 I think Reticulated Giraffe are the most photogenic of all seven species in Africa. Their patterns are sharply delineated, and reminds me of caked mud patterns on a drying lake. Reticulated giraffe number only around 8 700, and are found only in northern Kenya and the horn of Africa, into Somalia and Ethiopia. Like other giraffe species, they are being hammered by bushmeat poachers as a source of food, as well as for their skins which are sold on the black market for decor purposes around the world. Check out this excellent website on giraffe conservation in Africa…it doesn’t make for light reading, sadly. 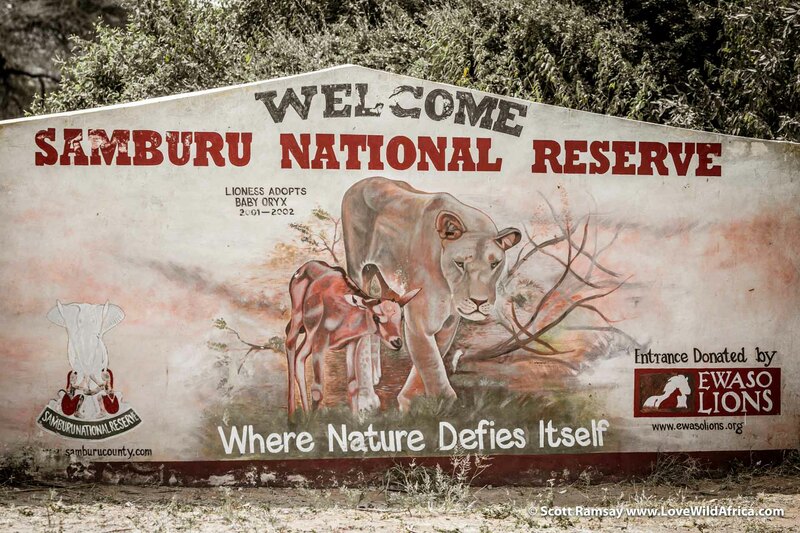 The welcome sign at Samburu National Reserve, with a painting of Kamunyak, a lioness who adopted several oryx calves, and protected them for a while. 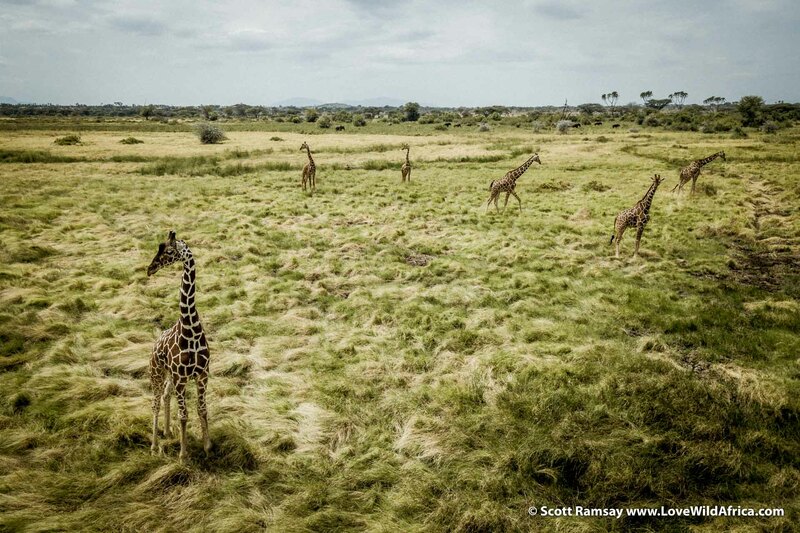 Reticulated giraffes, photographed from the air. “This is my land, humans!” A bull elephant is simply magnificent to see, but I prefer it when they aren’t in a grumpy mood. 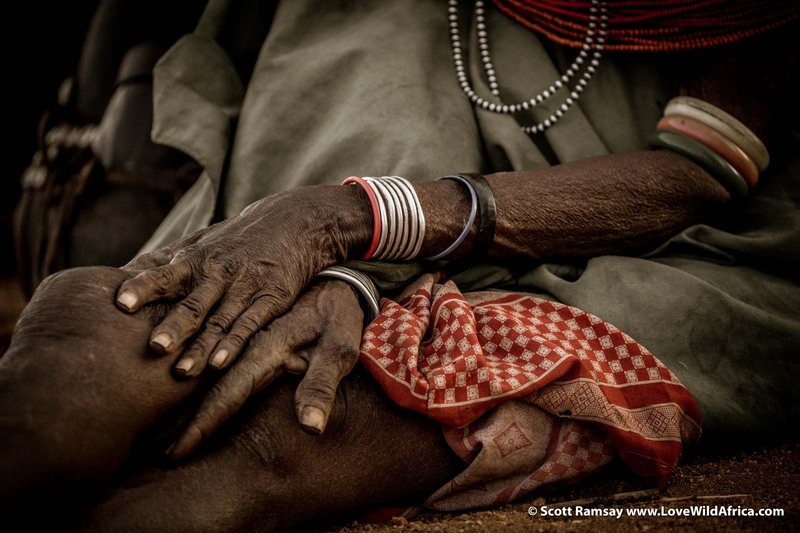 Dignified always…this elderly woman was the quintessence of a hard life lived with equanimity. Even though she was an elderly woman, the spirit of a young woman still seemed to be present. 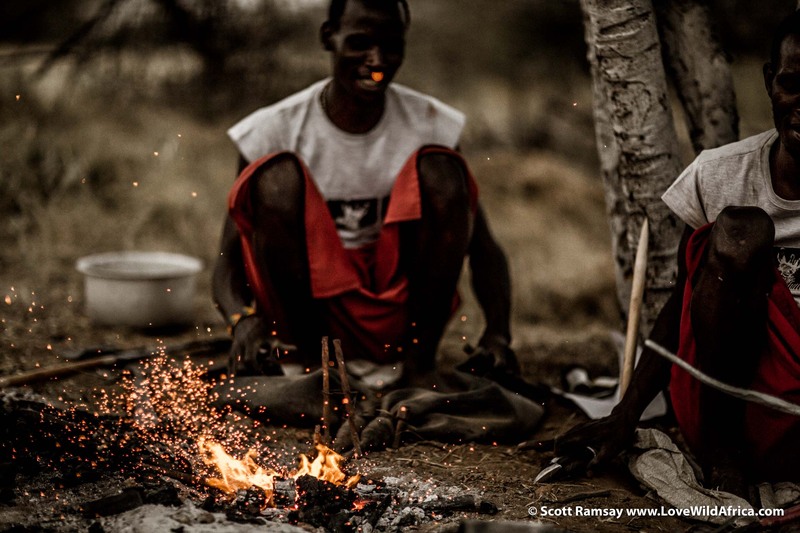 Mikey had found two Samburu blacksmiths, some of the last traditional blacksmiths in the region. And they are expert spear makers. 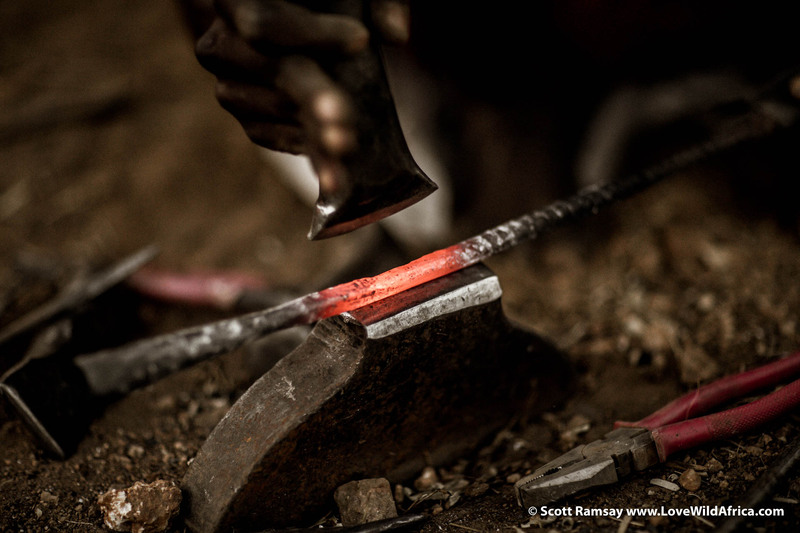 I used my Canon 85mm 1.2 lens to photograph the Samburu blacksmiths…the sharpness and bokeh on this lens is incredible. But the lens is unforgiving…you have to make sure you achieve focus on your subject very accurately, otherwise the image won’t work. The Canon 85mm 1.2 lens creates incredible images in the right conditions. I love how the sparks from the fire seem to be like planets or stars in the sky. 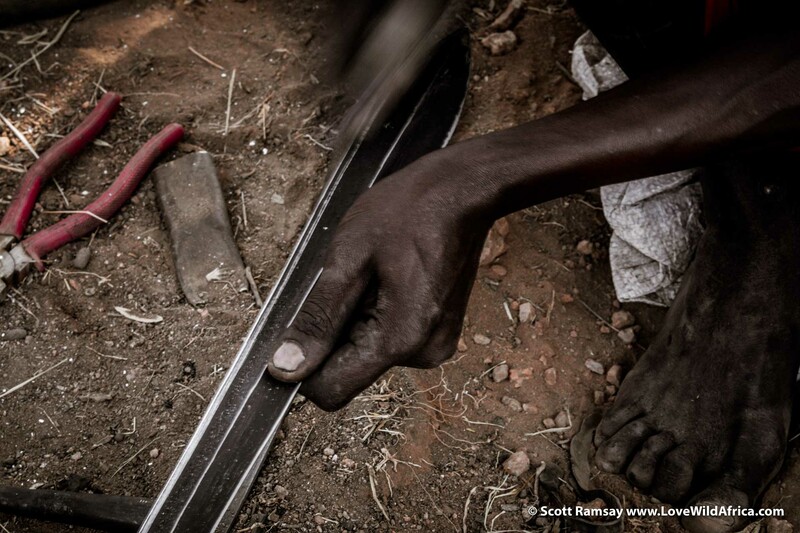 Smoothing and sharpening the blade…these swords are used for defending cattle from lions and other predators, and perhaps for skirmishes with obstreperous Turkana raiders. Kinna has found another calling. 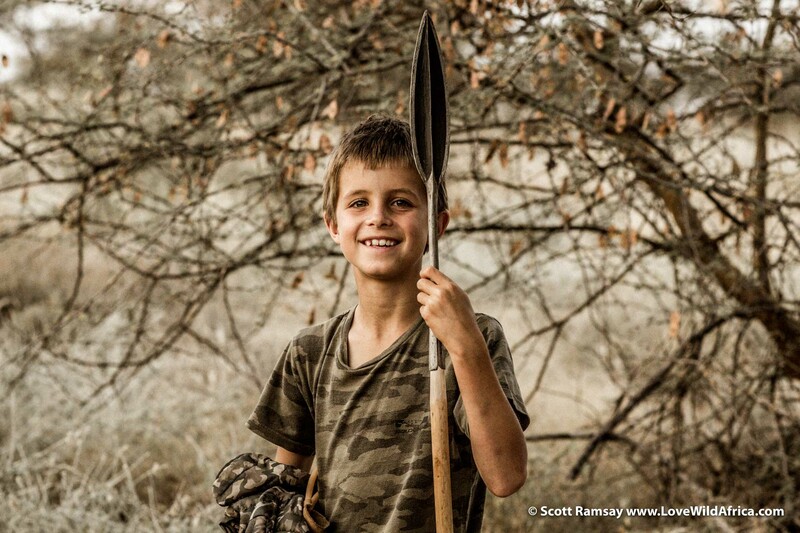 If he’s not going to be a world-champion fisherman, he’ll be a Samburu warrior.